By the tender age of five, Bernie Mac had found his calling: making others laugh. Since then, he has become one of the greatest comedians of our time. Now, this amazing comic delves deep down inside to retell the poignant story of his childhood and the people who helped shape him into the comedian, and the strong and self-reliant man, he is today. I am so glad that I listened to this book! 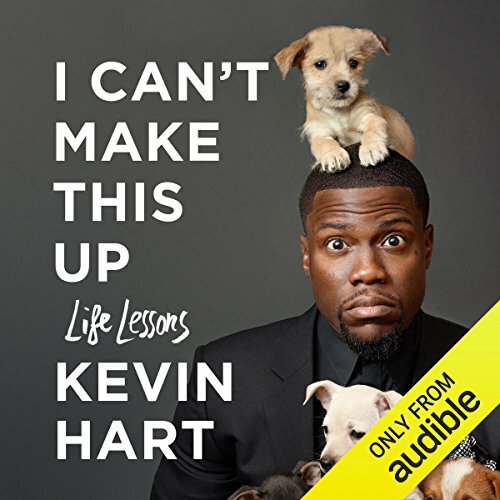 I have been an audible subscriber since 2011 and I generally stay in the personal development/self help categories, but I am a Kevin Hart fan and figured this would be a hilarious experience. It was, and you will laugh from beginning to end with this book. What I was not expecting was to receive so many practical lessons and success principles that were on par with the best books in the personal development industry. Most people don't know the process that Mr. Hart went through to get to the top. Like he states in the book he's an overnight success 16 years in the making! You will definitely want to listen to this book multiple times. I highly recommend it. Not only is it entertaining but you WILL be motivated to step your game up in whatever arena you have chosen to play in. 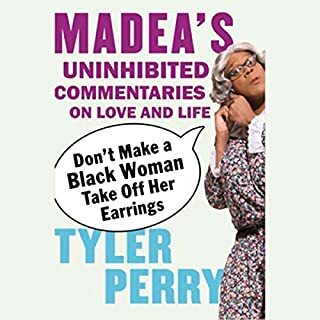 GET THIS AUDIOBOOK!!! As a post middle-aged white guy of comparatively gentle upbringing , it took me to just a little bit to get past all the vulgarity to appreciate how well Kevin Hart conveys where he came from and where he's coming from. He shares all and bares all his own mistakes and self-defeating behaviors and attitudes, hard Lessons Learned and the value of sheer determination and persistence. We see Kevin Hart grow up and grow in the course of this book, which he narrates in admirable fashion himself. hHeartfelt, heart written , t heart spoken, it's a pleasure to share his bumpy ride to the top of his game. Hart is smarter law enough to learn from his mistakes and hopes that we might as well. A worthwhile listen and wise word among the obscenities. Overall it is a great story with numerous life lessons on hard work, perseverance, sacrifice. Be warned that Kevin Hart is colorfully expressive with his choice of words. Also be warned that I listened to this at the gym and almost dropped a dumbbell on my head from laughing so hard. 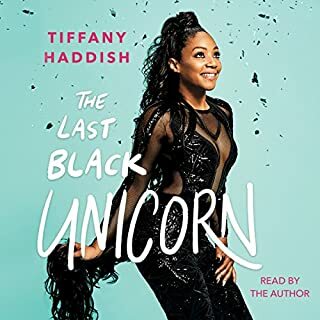 So please be safe when listening to this audiobook because I would have sued the author for comic endangerment if that dumbbell had crushed my forehead. Great book and a great reading performance. So sue me. He had me when he put a puppy on his head! I love memoirs but am really not into the celebrity stuff, couldn't get into "Yes, Please". But this was much different, certainly much funnier. It's a leisurely stroll through a life where there were choices to be made, desperate situations to be lived through. From a dad who B&Es to steal money AND cook grits, to a tiny mom who'll whup you with a belt for setting all the clocks in the home two hours ahead (There are good reasons for the whole clock thing), to a loving brother who won't fight your battles for you but will teach you how not to be bullied or be a bully, to a girlfriend/wife who is absolutely positive you're cheating (and you most likely are...) Hart's family is most memorable. And through it all is his stand-up narration/delivery, complete with laughter, perfectly timed hems and haws, and rabbit hole-like digressions galore. It all made me smile, laugh, or spew coffee from my mouth every now and then. Can't help it, the guy knows how to deliver a laugh (By the way, it's pretty interesting when he's barely learning the actual art and craft of comedy). Inspiring the way he learns to listen to his gut, the way he puts together bands of struggling people, the way he gets himself out of financial ruin... several times. And a few times, the memoir was downright touching as it's actually written with love. Not what I expected (expected a lot of shallowness, actually) but definitely enjoyed! this book can only be read by K. Hart. without his style it would not be as entertaining as it was. k. Hart, a true entertainer. Also, on a side note, did he really do a reading of William Shakespeare's greatest hits? I mean really, did he? Is it funny? because if it is, I am go get that. But if it ain't I may still get it to hear how horrible it was and laugh at it anyway. Either way, it was interesting to see at the end of the book, he read and performed other stuff. Kudos Kevin, keep bringing it. Under Kevin's comedic humor were life lessons to be learned for everyone in all walks of life. I loved it and have nothing but utmost respect for him as a man and a comedy legend. This is truly a rare find for me in a book. As this is my first time being a listener of an audiobook, I say in confidence that this book was a good decision. There is nothing like listening to someones personal stories that include failure, triumph and life lessons. I Can't Make This Up is funny and as a listener I feel special as you get a little bit MORE from Kevin narrating. This book was one of the more meaningful books I got this year. While being funny, Kevin actually gives quite a few good advice during the book. Presentation is hilarious and manages to sound natural and connected to the listener throughout the book. I could not stop listening to this book. Amazing book filled with some nuggets of wisdom. 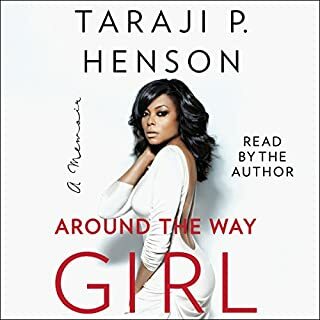 I feel like this audiobook had everything it was very funny (as expected) and moving in places and eye opening with inspirational deep meanings throughout also got me through my night shifts with ease! Amazing book, amazing performance by Kevin Hart himself, was just like watching an 11hr standup show. The first half was excellent. Punchy, interesting and brilliantly performed as well as being extremely funny. The second half felt difficult to digest. It read in repeated patterns like.. "I did this, and then this and I learnt that we should all do this" which if you're looking to read this book in an advisory capacity will work well. I just wanted to be entertained. Perhaps the clue was in the title! I really loved this book, there were some fun, some hard, and emotional stories that he spoke about. Very motivational, this guy deserves every bit of success he's had and will have. 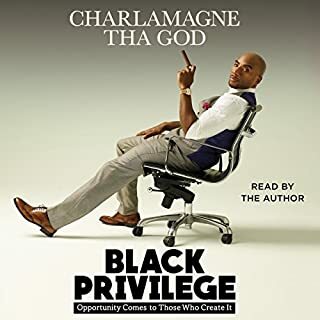 The best audiobook I have ready! What did you like most about I Can't Make This Up? What other book might you compare I Can't Make This Up to, and why? What about Kevin Hart’s performance did you like? I loved how honest he was! He says things that we are scared to admit but makes it seem so normal. When he talks about performance that it starts of slow and it builds up, I am a music producer and DJ when I was younger and knew the exact feeling but once your deep in the performance it just flows. I started reading his book before I went to see him on his tour in August. I was around 100 pages in, then seen Kevin, then put the book on hold for a while. I then decided to listen to the rest of the book on audio. It was the best thing I ever did! I was laughing so much! Absolutely brilliant! 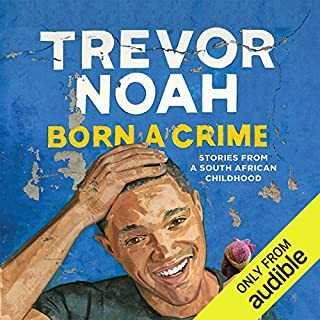 It's a brilliant audio book. it's like an 11 hour stand up! I wish he had another book out already. Laugh and learn, most definitely. This is halirious and helpful, haliriously helpful! Typical Kevin Hart humour in the form of a self help book. He teaches a lot but the most prominent thing is resilience. If you don't know what your are doing with your life. Listen to this, you must. Kevin, I follow you on snapchat. You talk a lot and I have always envied your energy. But your book actually highlighted to me that envy is useless, I need to stop sitting around and waiting for things, I need to go get them, discomfort means change and stay humble as well as don't blame. The last 5 chapters were very meaningful to me and I will refer to them when I am struggling (which is often at the moment). Congratulations on your book, any praise you get is well early, you aren't as silly as you come across. Dang it! This is GOOD!! The perfect balance of wisdom and wit. Of course this book was always going to be entertaining but more importantly to me was the insight to the mindset that got this man over every hurdle and past every set back from humble beginnings to incredible success. The only drawback old this book is that it had to end. I pity the next author who's work I read because this is a tough act to follow. kevin hart needs to narrate every book, ever! couldn't stop listening to it in every waking moment. 11 hours never went by so fast! Blasted through this in the car over the last few days. 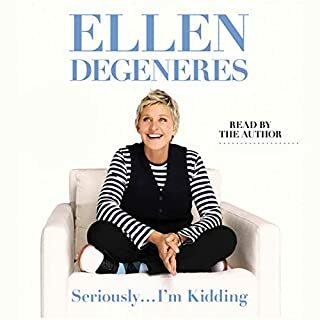 You can't call yourself a fan of comedy without hearing this book. Insightful look into Kevin Hart's life, hilarious but also filled with depth and many life lessons. Out of all the comedy books I’ve read (pretty much all of them) - this was surprisingly one that provided some really good tips on how to tackle the world of stand up comedy and also incredibly inspiring to see the journey someone took and the perseverance to become great at their craft! Definitely recommended for all artists and creators. Thanks for sharing so honestly Kevin Hart. Your name is a reflection of who you are. Great Great! Very interesting story and with Kevin Hart narrating it, it adds the authenticity & humour that is expected from him. I highly recommend this!!! absolutely loved itx grabbed my attention and didnt let go. highly recommend to everyone young and old.